Ever had a pair of big brown puppy dog eyes staring at your fork as you tuck into a deliciously greasy Full English Breakfast? You’re not alone. And yet sharing that breakfast with your dog is likely to land him in doggy fat camp quicker than you can say Sausages. 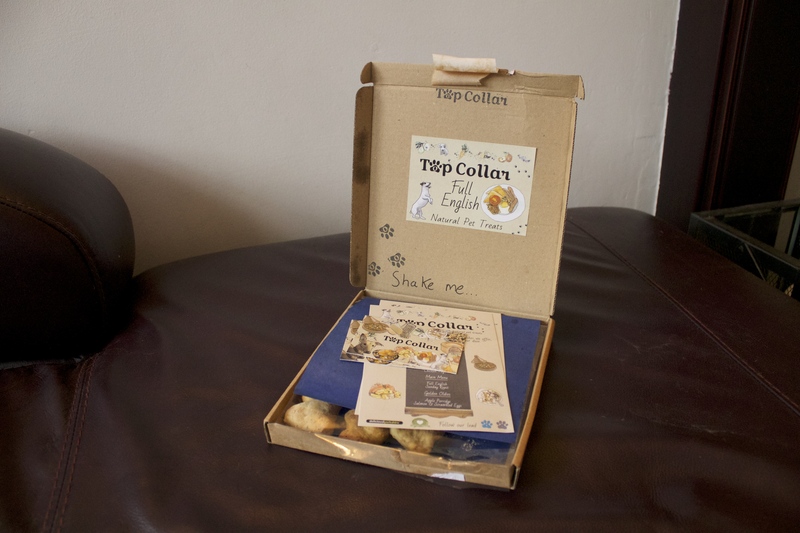 Help is at hand to offer your pooch the chance to try the nations favourite dish in a healthy and tasty treat version, from the very clever treat company, Top Collar. Young entrepreneur Sophie makes these Full English treats in my home county of West Yorkshire, along with apple porridge, sunday roast, pork pie, chicken tagine and cheese and biscuit flavours. Mouth watering for dogs and owners alike! You can buy a box of each flavour from £4.95, or set your dog up with the delightfully Yorkshire named ‘Keep em coming’ service. For £8.95 a month you’ll get a box delivered so you never run out of treats. That’s sure to keep you in Rover’s good books. We received a box of Full English treats for Lupo to test out. The packaging and branding is great, although Royal Mail had to stick it back together so just a bigger label is needed to keep the treats secure. They look (and smell!) great, in cute heart shapes to please us humans. Lupo is a bit fussy with treats, which makes him a great tester, so he carefully took one from my hand and ran to the living room to drop it on the rug to make further inspection. After playfully pushing it around the rug, it was gone in one gulp. And he was back to my side waiting for another. As I type this he is whining at me as the box is on the table! 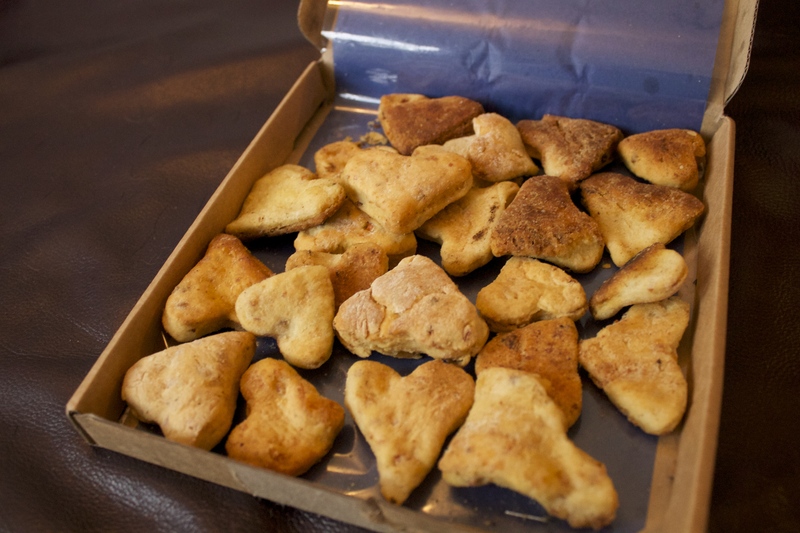 I try to choose treats to take on his walks that have a smell he loves, so we’ve gone through fishy things, meaty treats, even garlic sausage, so I know these biscuits will be great at getting him to come back to us. 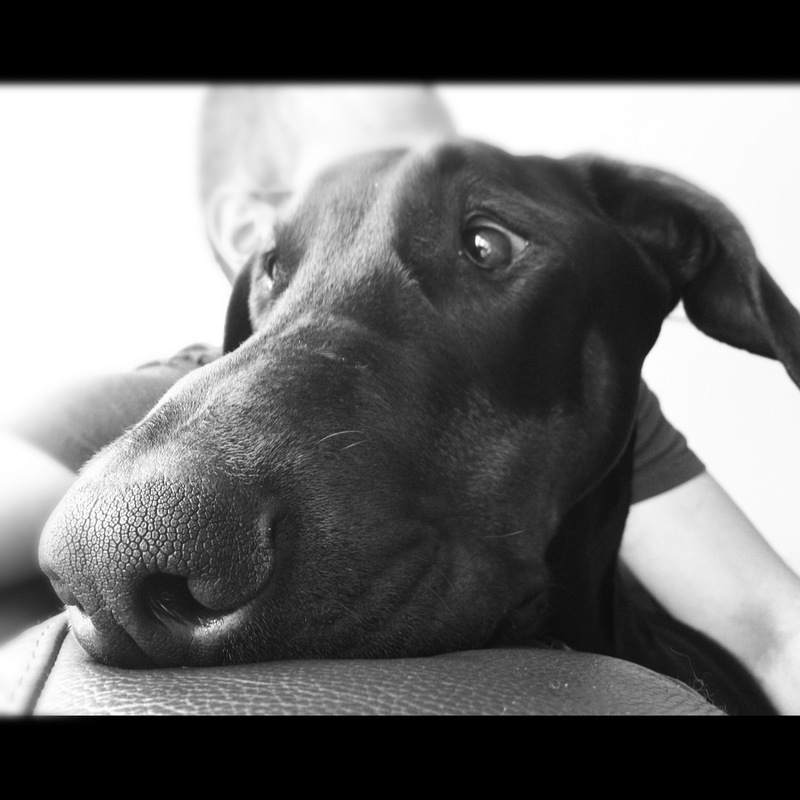 Make sure you visit the Top Collar website, let me know which flavour your dog loves!